The switch from passive entertainment, such as television, to more interactive media – tablets and smartphones – has been very swift. Studies and recommendations have always advised against excessive screen time. Now, interactive devices are offering a different level of entertainment to children and adults alike. Should recommendations change? 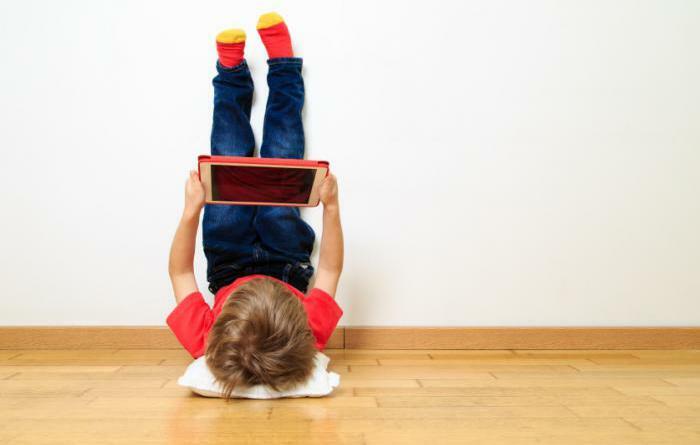 Concerns about toddlers’ use of various media devices are centered around two aspects; firstly, there is potential for the child to come across harmful images and topics that are inappropriate. Secondly, early television viewing has been associated with, among other things, later attentional difficulties and sleep disturbance. Now, with child-safe Internet portals and “educational” apps, the game truly has changed; but has it changed enough? With these recommendations as a backdrop, Dr. Deirdre Murray and her team at Cork University Hospital in County Cork, Ireland, looked into how much touch-screen time toddlers were getting. The research, published in Archives of Disease in Childhood, set out to discover how much interaction children under the age of 3 have with touch-screen technology and how adept they are at interacting with it. The researchers also asked whether interaction with these devices could potentially be used as a way of assessing child development. The research was questionnaire based. Children and parents were recruited from inpatient and outpatient settings at Cork University Hospital. In all, the results from 82 infants, aged from 12-36 months, were analyzed. The questionnaires asked about the amount of time their child used a swipe-screen on a daily basis. They also asked about the types of interaction the children had. For example: did the children have specific apps downloaded for them, and were they capable of swiping to unlock or tapping specific icons? The results showed that 82% of parents had a touch-screen device of some description. Of these parents, 87% allowed their child to use it for an average of 15 minutes per day, and 62% had downloaded specific apps for them to play with. Impressively, 91% of the children were able to swipe the screen, 64% actively searched for features and 50% were able to unlock the screen. The average age of children who could perform all three of the skills listed above was 24 months. The average age for identifying and using specific touch-screen features was 25 months. Overall, 1 in 3 of the toddlers could swipe, unlock, search for features and use specific touch-screen features by the average age of 29 months. Although the study is based on questionnaire data, which can fall foul of recall and response bias, it may lead to more work in the field. Further study, using a larger sample, might tease apart any differences in socio-economic strata, gender and neurodevelopment. The report notes that although potentially educational, interactional apps are available for touch-screen devices, photo and video viewing are still the most commonly used functions. This fact leaves their negative impacts in the same camp as television. Medical News Today recently wrote about Apple’s ResearchKit and how it uses smartphone technology to recruit participants for studies.